Methinks I heard a voice in My inmost being: Do thou sacrifice the thing which thou lovest most in the path of God, even as Husayn, peace be upon him, hath offered up his life for My sake. Three rows of 250 muskets were pointed at the two men who were suspended by a nail on a wall of the barracks square in the northwestern Iranian city of Tabríz. Some 10,000 people had thronged in the square and on the rooftops to witness the execution of one who claimed to be the Báb, and the bearer of a divine message destined to transform the spiritual life of humanity. The day before, the Báb was being escorted through Tabríz to His prison cell in the barracks square, not in a triumphant procession as He once did, but chained and without the green sash and turban that proclaimed his lineage as a descendant of the Prophet Muhammad. This time, the gathered crowds did not throw themselves at His feet seeking His blessing, but instead hurled insults, garbage and attempted to strike Him. Suddenly, a young man threw himself at the Báb's feet. "Send me not from Thee, O Master. Wherever Thou goest, suffer me to follow Thee." The Báb answered: "Muhammad-‘Alí (known as Anís), arise and rest assured that you will be with Me." Anís was promptly arrested along with two other Bábís. So great was Anís’ love for the Báb that his father had recently confined him to his room, fearing he would do something foolish. After hours of ardent prayer and almost unconscious, Anís suddenly heard the voice of the Báb calling him: Rejoice, the hour is approaching when, in this very city, I shall be suspended before the multitude and shall fall victim to the fire of the enemy. I shall choose no one except you to share with Me the cup of martyrdom. Rest assured that this promise which I give you shall be fulfilled. Anís’ emerged from his room and joyfully reunited with his family, none suspecting what his true intentions were. 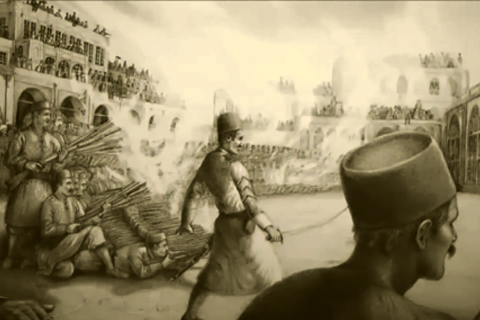 Mírza Taqí Khán, the newest prime minister of the young king, Nasiri’d-Dín Sháh, beside himself with rage over the Báb’s growing influence throughout Persia, had decided that he would put an end to this monster of heresy by chopping off its head. It was therefore decreed that the Báb must die. His companions were deeply horrified by His words. What? Snuff out the precious life of the Báb and stain their souls with the murder of the Promised One for all eternity? Only Anís threw himself at His feet and told Him he would fulfill His every command. The Báb smiled at the one who showed true faith and obedience. “This same youth who has risen to comply with My wish shall, together with me, suffer martyrdom. Him will I choose to share with Me its crown. 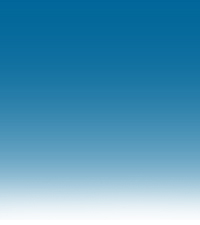 The next morning, on July 9, 1850, the sun rose in a cloudless sky, promising a very hot day. As the Báb was dictating his final instructions to Siyyid Husayn, a prison attendant arrived with instructions to take Siyyid Husayn away. “Not until I have said to him all those things that I wish to say can any earthly power silence Me” thundered the Báb. “Though all the world be armed against Me, yet shall they be powerless to deter Me from fulfilling, to the last word, My intention.” Although the attendant was shocked, he nevertheless removed Siyyid Husayn from the Báb’s cell. Sám Khán, the commander of the regiment that had been ordered to execute the Báb, had been observing Him all morning. He found nothing to condemn in the Báb. In fact, His mild manner, fearlessness, obvious nobility and unfailing courtesy impressed him deeply. He decided to approach the Báb with his concerns. “I am a Christian and bear You no ill will. If your Cause be the Cause of Truth, allow me to be freed from my obligation to shed Your blood.” “Follow your instructions, and if your intent be sincere, the Almighty is surely able to relieve you from your perplexity”, answered the Báb. 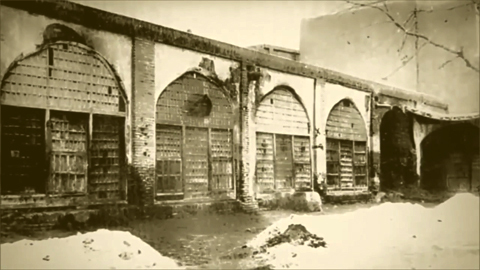 At the hour of noon, both the Báb and Anís were led out of the cell into the barracks square. Anís insisted that his body shield that of the Báb’s as they were being strung up on the nail and suspended on the wall. On Sám Khán’s signal, three volleys of 250 bullets producing flashes of fire and smoke, were released. When the smoke finally cleared, the crowds, soldiers and officials could scarcely believe their own eyes, for there, standing completely unhurt and alone and the rope severed, was Anís. Even more amazing still: Where was the Báb? Stunned by this event, Sám Khán immediately dismissed his regiment and refused to have anything more to do with the execution of the Báb. Meanwhile, a frantic search for the Báb had eventually led the same prison attendant to find Him back in His cell, calmly dictating His final instructions to His secretary. “I have finished my conversation with Siyyid Husayn. Now you may proceed to fulfill your intention.” Visibly shaken, however, the prison attendant immediately refused to do his duty and resigned on the spot. The moment the 750 shots were fired, a sudden storm of exceptional severity swept over Tabríz. A windstorm of dust, lasting until nightfall, even obscured the light of the sun and blinded the townspeople. Except for their faces, which remained almost untouched, the Báb and Anís were so shattered by the volleys that they had become mingled flesh and bone. They had become as one. Although their bodies were thrown in a moat outside the city to be eaten by wild animals as a further humiliation, they were rescued by Bábís who hid the casket holding the sacred remains in various locations for many decades until they were interred in a building on Mount Carmel in Haifa, Israel in 1909. 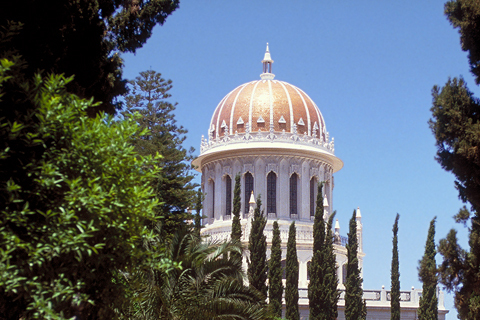 In later years, a superstructure was erected on top of the original building and crowned with a golden dome, completing the construction of the Shrine of the Báb – a site where Bahá’ís from all over the world come to pay homage to one who they believe was the bearer of a divine message.